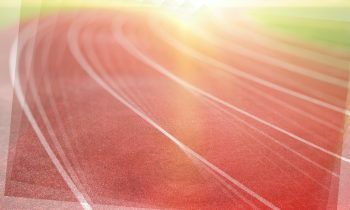 Hattie Vaughan confirmed her reputation as being one of the best under 17 pole vaulter’s in the country by taking the silver medal in the England Athletics Age Group Championships at Sheffield on Sunday. With a best vault of 3.50m, Hattie displayed a confidence in defeating girls who had vaulted higher than her prior to the competition. After taking the bronze in the Northern championships, Hattie’s target was to scrap it out for a bronze in the Nationals and was therefore absolutely delighted with her performance in taking silver. 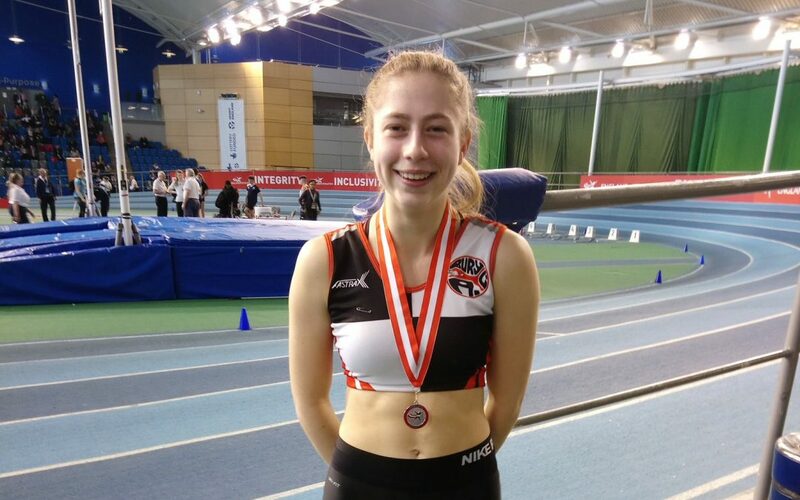 Abigail Howard also had her first exposure to a national championships and exceeded expectations by qualifying for the semi-finals in the under 15 girls 60m hurdles. Her time of 9.99 in her heat equalled her personal best and secured her a place in the semi’s as a fastest qualifier. However, she was not able to reproduce her best in her semi-final taking 8th in 10.20. It was an invaluable experience for the young athlete. Daisy Worthington, recovering from injury, decided to compete over 300m in the championships. She was rewarded with a season’s best time of 43.05 in her heat, but it was not quick enough to allow her to progress to the semis. This is her first year in the under 17 age group and there is a lot more to come. 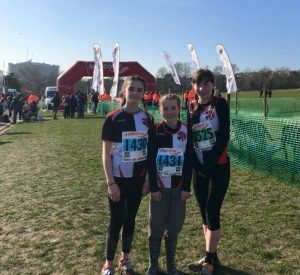 Four Bury athletes travelled to London to compete in Saturday’s English National Cross Country Championships at the iconic Parliament Hill Fields course. In the under 20 women’s race Sophie Whittaker produced her customary battling performance to take 60th in 28.59 for the gruelling 6k course. Erin Kenyon finished 436th in the huge under 15 girls’ 4 k race in a time of 20.37. It was excellent to have Freya Potts and Grace Gibson in the under 13 girls race finishing in 122nd and 372nd respectively with times of 14.11 and 16.08 for their 3k course. 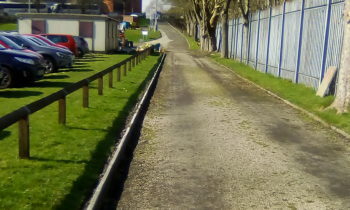 Marcus Dey was the sole Bury athlete in the Blackpool Stanley Park 10k. In his debut for the distance, Marcus illustrated his endurance by running out as winner in a very creditable 34.15. Meanwhile Ben Coop travelled over to Yorkshire to compete in the Pocklington 10 mile road race. He found the conditions to his liking taking 5th place in a lifetime best of 54.54. Seven Bury athletes competed in the Sale Indoor meeting at Sportcity on Sunday. Jacob Allen illustrated both endurance and strength by winning his 600m race in a new pb of 1.41.33 before winning the shot with a new best of 8.65m. Charlotte Speakman-Farnworth was another Bury winner in the 600m, also setting a new best of 1.43.44. Jerel Livingston showed a clean pair of heels to the competitors in his under 15 boys 60m, winning in a new lifetime best of 7.65. This time would have seen Jerel as a qualifier for the semi-finals in the Nationals. He followed this with an excellent 5.63 in the long jump. There were other personal best performances for Amy Garroch (60m 8.68, long jump 4.53 and shot 7.47), Jay Cook (60m hurdles 11.12), Ella Hall (60m 9.05) and Erin Garroch (high jump 1.20). These young athletes are to be commended for their commitment to competition and challenging themselves. There was a good turn out from Bury’s senior athletes at the Terry Nortley 10m mile trail race on Sunday. 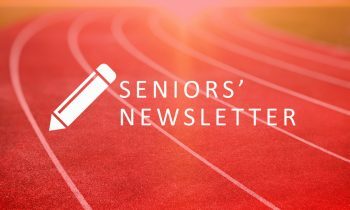 The event is part of the senior’s Grand Prix race series. First home in 4th place was Luke Harreld (62.26), with Jim Ardin hot on his heels in 6th (62.37). Byron Edwards, just back from his holidays and on his third race over the weekend, took 15th in 66.39. Paul Johnson and young Josh Birmingham finished 22nd and 25th respectively (68.51 and 70.32) with Katie Geelan finishing as first F45 athlete next to finish in 73.29. Anthony Hollahan showed the benefits he is taking from his training to record a time of 75.39. The other Bury finishers in the field of 240 athletes were Irfan Qureshi (85.10), Colin Smith (86.24), Edward Hitchin (88.36 and 2nd V70) and Alison Dale (101.20) and Nicola Brown (104.53). The group enjoyed a team building social after the race.